Need to add colors to your walls? If you think your room needs a boost, then adding a splash of colors can give it a new lease on life. Many homeowners might find the task of painting a dreadful task, but it’s actually one of the most inexpensive ways to give your room a makeover. To make your painting experience a breeze, be sure to have the right painting tools. You’ll need more than a reliable paintbrush so check out the list below to know what you might be missing. One of the most important painting tools that you will need if you are going to be covering large areas of a room with paint, is a roller. This tool will allow you to quickly cover entire walls in a fraction of the time that it would take for you to try to paint these areas with a paint brush. Since rollers come in many different sizes, it is easy to find one that will allow you to quickly cover the wall. Additionally, rollers come with differently sized naps, which will play a role in how much paint is applied to the wall at a time. If you need extra coverage, then you will want to choose a roller with a thicker nap, while thinner naps will put on less paint. Of course, it is important to remember that rollers with very thick naps tend to apply so much paint that it will drip, so you need to be careful. 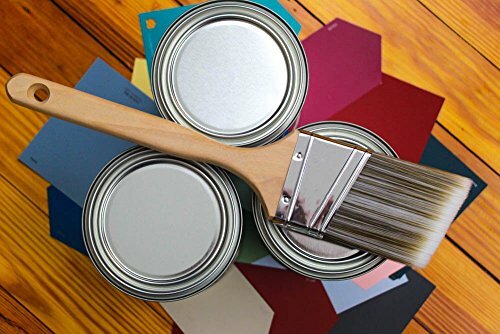 A tray is necessary if you are going to use a roller, as you will pour the paint needed into the tray and then insert the roller to pick up the desired amount of paint. It’s imperative that you buy a tray that is wide enough to easily accommodate your roller, or else you will have great difficulty trying to get your roller evenly covered. Keeping the right amount of paint in your tray will make it possible to have the perfect amount of paint on your roller. Too much, and you will find that you have a lot of drips, as well. Too little, and you will find it difficult to get even coverage on your walls. 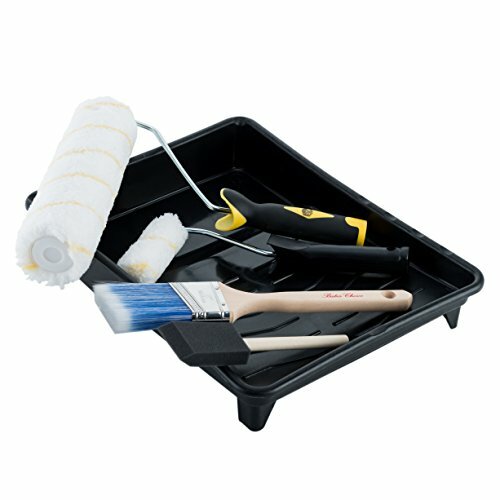 While using a paint tray is necessary when you choose to use a paint roller, in order to avoid the need of washing out the tray when you are finished, it’s a good idea to invest in some paint tray liners. These are generally fairly inexpensive and fit inside of the paint tray, conforming to its shape. When you are finished painting, you can easily just throw away the liner without having to deal with trying to clean out the tray. As a result, cleaning up your painting space and supplies will be quick and easy. 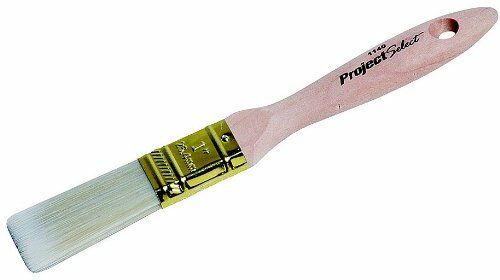 A decent brush will make your painting job very quick and easy. However, if you buy a lower-quality brush or the wrong one for your job, then you will find that painting is very frustrating and slow-going. Lower-quality brushes will tend to lose their bristles in your paint, which can be unsightly and cause texture in your walls where you didn’t want it. When you make sure to buy decent brushes and ensure that they are the right style for your job, painting your rooms will be a lot faster and easier. If you want to paint a design on your wall, or if you are planning to block off certain areas so that they don’t accidentally get painted, then you need to invest in quality painter’s tape. 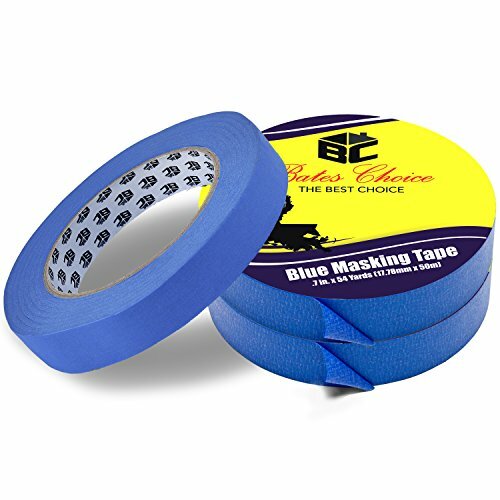 Unlike other types of tape that can be very difficult to remove from a wall, painter’s tape will stay on the walls for days, allowing you a sharp edge in your painting. When you finish, you can pull the tape down from the wall quickly and easily. This is important, as you do not want to have to deal with paint chipping away from the tape when you finally remove it. No matter what kind of floor your room has, you are going to want to protect it from drips and spills. Accidentally spilling paint on your floor can quickly ruin it and cause you to have to replace carpet or get your wood floors professionally repaired. It’s easy to put down a drop cloth to decrease the likelihood that you will have any major spills. Thinner plastic drop cloths are great if you want to be able to throw away the drop cloth when you are finished with your project, but if you want to be able to use your drop cloths again, then opt for higher quality ones made of thick fabric. Painting around the corners of your windows, doors, and cabinets can be tricky, even when you use painter’s tape. For that reason, buying corner edges is a good idea. 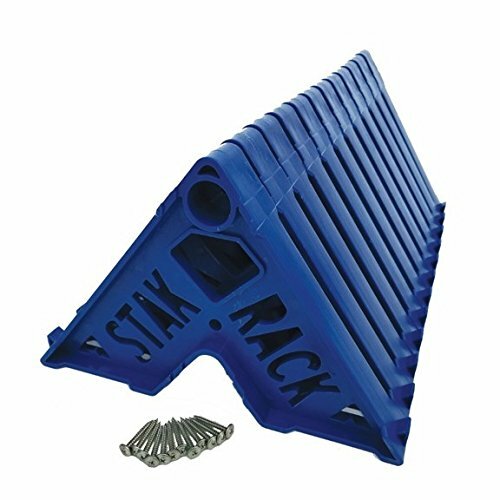 These plastic tools will fit around the corners of your cupboards or molding that you do not want to accidentally paint and help you to keep the edges neat and clean. If you have a wide open space where you are going to be painting, and you want to make sure that you can complete the job as quickly as possible, then it is a good idea to opt for a paint sprayer. Rather than choosing a small one that will only hold a little amount of paint, when you buy a powerful sprayer you will be amazed at how quickly you can paint your entire home. It’s important that you only use a paint sprayer in a location where you have plenty of fresh air. It’s also important to watch out for overspray, but this is a fast and easy way to complete your project in a fraction of the time. While many people prefer to use a paintbrush to edge around door frames, windows, floorboards, and the ceiling, if you are not experienced with using a brush and are worried about making a mistake or if you simply want to move as quickly as possible during your painting job, then it is a good idea to purchase an edger. These tools make it easy to quickly edge around items in your home without accidentally getting paint on them, thereby allowing you to move forward with the painting job quickly. As long as you apply an even coat of paint, your edger will speed up the painting process. It can be very difficult to paint high up on a wall, either near the ceiling, or on a staircase, and if you are not comfortable getting on a ladder, or if you simply want to move the process along as fast as possible, then it’s a good idea to purchase an extension pole. These poles generally have a threaded end that will allow you to screw on your paint roller. While it can be tricky to get the hang of using an extension pole for painting at first, using one will greatly speed up the painting process and ensure that you do not miss any spots near the ceiling. 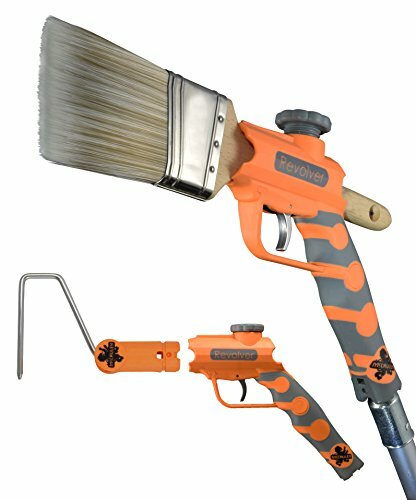 A quality painter’s tool will eliminate the need of your having to have your toolbox with you while you’re painting, as this tool has many different functions. 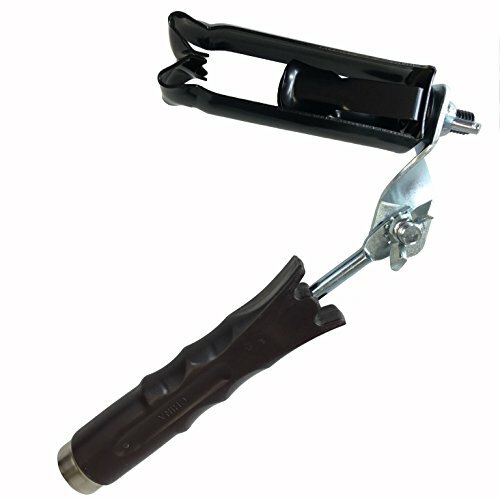 They generally combine a chisel scraper, spreader, paint can opener, roller cleaner, and other functions. 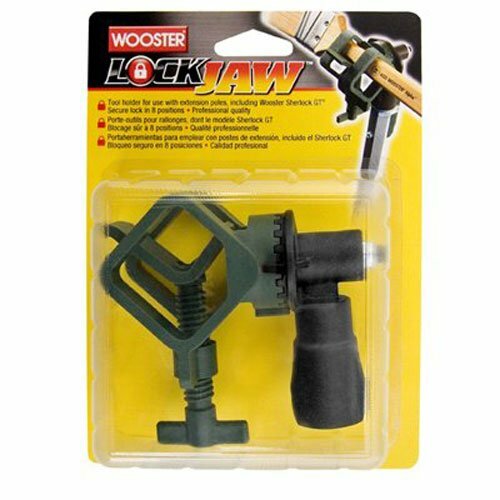 Having one of these tools available when you are painting and preparing for painting will make your painting job fly by. While most of the time you can easily paint over prior layers of paint, if you want to be able to strip away old paint, then is important that you use a professional paint remover. This product can quickly and easily remove up to 15 layers of paint, while at the same time decreasing the amount of elbow grease you will need to use. It is important only to purchase paint remover that is environmentally friendly and odor free so that you do not put yourself at risk of breathing in dangerous fumes. Look for a paint remover that cleans up with water. Trimming a room by hand can take a long time, and if you are on a ladder and going up and down the steps, then not only will it take significantly longer, but you’re sure to get tired. 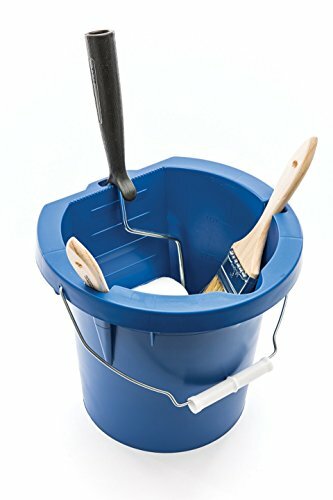 Pouring a small amount of paint into a bucket that you can take with you will speed up the trimming process and decrease the likelihood that you accidentally drip from your brush. It’s important to choose a paint bucket that is small enough to carry easily, but large enough to hold ample paint for your needs. Using a paint guide makes painting up against the carpet, other floors, and cabinets easy and decreases the likelihood that you’ll accidentally paint onto these items. These guides are especially important when you are going to be painting your floorboard because any paint on the carpet can cause the fibers to stick to the floorboard itself. It’s a good idea to buy a paint guide that is longer so that you don’t have to worry about moving it repeatedly. 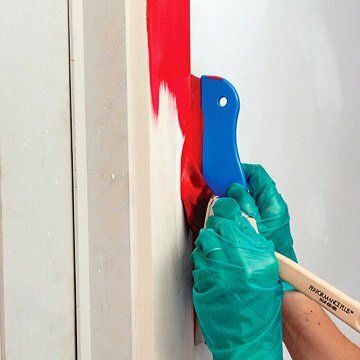 Longer paint guides will allow you to complete a painting in bigger areas in shorter amounts of time, and they will decrease how long your trimming process will actually take. While extension poles are ideal for rolling higher up on the wall without any problem, most poles do not have the ability to hold a paintbrush as well as a roller. If you want to be able to use your paintbrush high up on the wall, then it’s important that you invest in this small tool. It will actually attach to the threaded end of your pole and allow you to hold brushes easily. Because you can adjust this tool in 15-degree increments, you’ll be able to get your brush into the perfect position for painting on the wall or the ceiling in no time. Additionally, this tool can be used with an extension pole to hold a flashlight and scraper, turning this tool into a multi-use piece of equipment that you are sure to love. If you are going to be using a stencil on your wall to add detail to your room, then it is important that you use the right brush for the job. Unlike other types of paint brushes that work in a brushing motion along the wall, a stencil brush is used to quickly and carefully dab paint onto the stencil. This makes it easy to add color to your room without the fear of paint accidentally bleeding under the stencil and ruining the edge of your design the way that it would if you were to use a different type of a paint brush. While these brushes are not useful for painting large areas, they make design work fast and easy. An angle sash brush has slanted bristles and will hold a fair amount of paint. 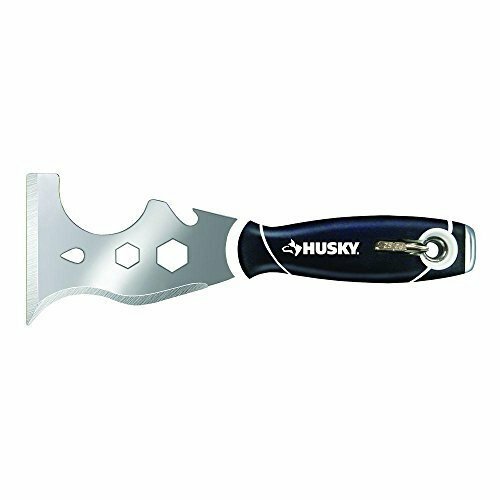 This means that you can use it for cutting in around the ceiling or trim, or even for painting trim, without having to worry about whether or not you will have enough paint on the brush for the job. This will decrease the number of times that you have to put more paint on your brush and it will prevent you from dripping. 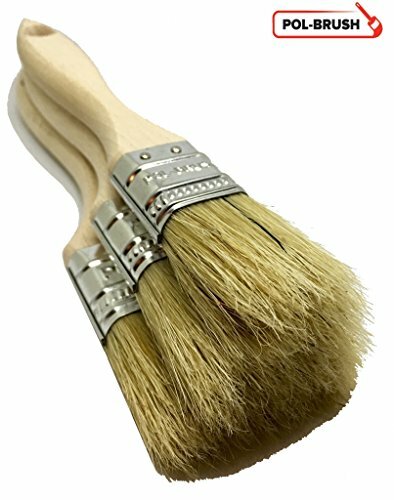 This type of brush has bristles that are completely straight all the way across the brush and is ideal for painting on flat surfaces. While it is not easy to cut in with this type of brush, you can easily fill in areas on your wall using a flat sash brush. Thicker brushes that hold more paint are called wall brushes. They are ideal for painting large surfaces such as a wall when you do not want to use a roller. Due to their size, they should not be used for fine detail work, as they simply hold too much paint and are too bulky to try to use in a smaller space. These flat brushes are ideal for quickly covering larger surfaces, as long as they are flat. They are generally used for painting exterior siding on your home. A slanted brush, the thin angle sash brush will easily create a thin and straight line when you are cutting in your room and trimming around the edges. 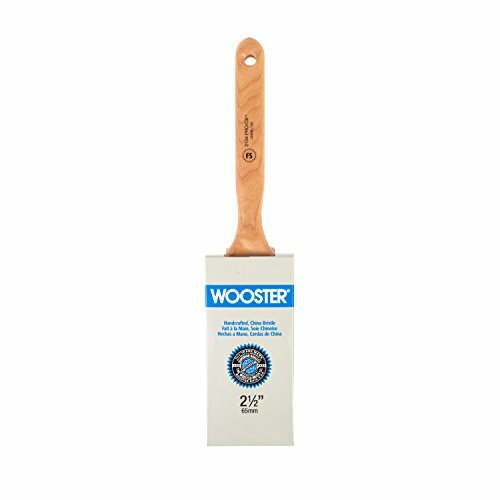 They do not hold as much paint as an angle sash brush, but they are ideal if you are working in a smaller area or want to make sure that you have the most control possible over your brush so that you do not make a mistake. Chip brushes are generally fairly small and are perfect for painting in awkward or enclosed spaces where you do not have a lot of room to maneuver the brush. They do a great job on fine detail work and will leave a professional and clean appearance as long as you are careful when using the brush. Made with animal hairs, these brushes are ideal for applying paint that has an oil base. 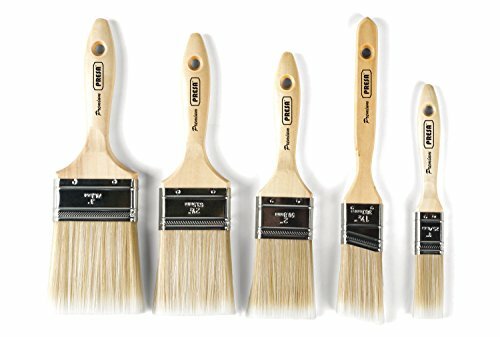 Due to the splitting of the tips of the bristles, these brushes will hold more paint and release it smoothly and evenly onto your wall for a nice finish. These brushes are very easy to clean and are great for use with latex paint. When cared for properly, they will last for many years. Nylon is very durable, and polyester holds its shape well, making for a durable and reliable brush. Ideal for use with latex paint, polyester brushes do a great job of staying stiff and holding their shape throughout a long job. They apply paint very evenly and smoothly due to their firm bristles and how well they can hold their shape. To quickly add a lot of interest and design to your wall without having to use a stencil, you should use an embossed roller. This is a great way to complete your job. These rollers have a design cut into them and have a firmer surface than rollers that are generally used to cover large areas with paint. By carefully applying a thin amount of paint to the roller, and then rolling it evenly and smoothly over the wall, you can create texture and add visual interest to your walls quickly and easily. 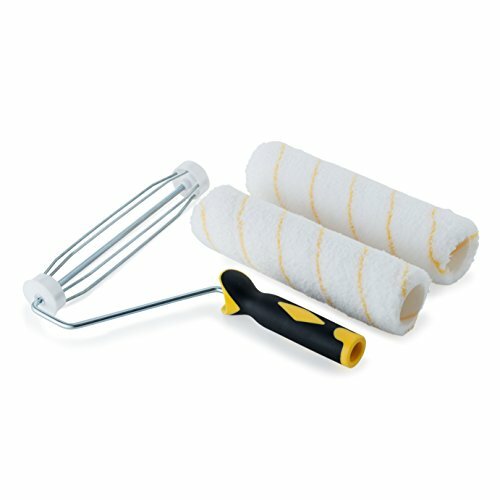 These rollers are generally very easy to clean up so that you can use them again in the future if you want to add the same texture to another wall in your home. Buying a kit is the best way to make sure that you have all of the tools that you are going to need for your painting job. Rather than trying to buy pieces separately, if you do not already have a quality roller and brushes at your home, then you can save time and money by buying a kit. 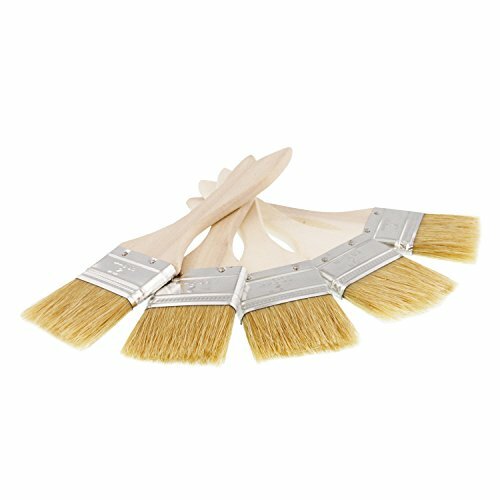 These generally come with a few different types of brushes in them, making it ideal for beginners as they will have the right brushes for trimming out your room and for painting larger areas, as well. While some of the pieces included may not be as high quality as if you were to buy them separately, a kit is a wonderful way to get started painting quickly without spending a lot of money. There are some extension poles that will only add a few feet to the length of your paint roller that, while it will extend your reach a little, will not allow you to paint very high walls. If you are worried about painting higher than normal walls or about hurting your back when trying to paint a ceiling, then it is a good idea to buy an extension pole that is extendable. These generally can lock into different lengths so that you can extend it to the perfect size for your needs and not have to worry about it being just a little too short or too long. Painting for long hours at a time can really take its toll on your body, especially if you are going to be holding a paintbrush for the majority of the time. When you choose an ergonomic paintbrush, you can be certain that you will avoid the hand cramps that are so common with painting. When you have to hold a paintbrush in the same position for an extended period of time, it can become very difficult and uncomfortable, but you can keep your hand feeling its best when you choose an ergonomic brush. Some paint cups come with a magnetic strip along the inside of them that will make it easy for you to store your paintbrush inside the cup without it falling down into the paint. When you choose a paint cup that has this feature, then you won’t have to worry about your brush getting too much paint on it or falling out of the cup. Simply connect the metal of the brush to the magnetic part of the paint cup, and you will always know exactly where your brush is. A paint brush roller extension that has an adjustable angle will allow you to turn the brush to the perfect angle for painting your wall. This will eliminate the need for you to turn your body into an awkward angle or contort your arms to get the brush to line up perfectly with the wall when painting.